Summary (Goodreads): Natasha: I’m a girl who believes in science and facts. Not fate. Not destiny. Or dreams that will never come true. I’m definitely not the kind of girl who meets a cute boy on a crowded New York City street and falls in love with him. Not when my family is twelve hours away from being deported to Jamaica. Falling in love with him won’t be my story. I finished this last night, but I had to wait a little while to get my thoughts in a coherent order before I could write this. 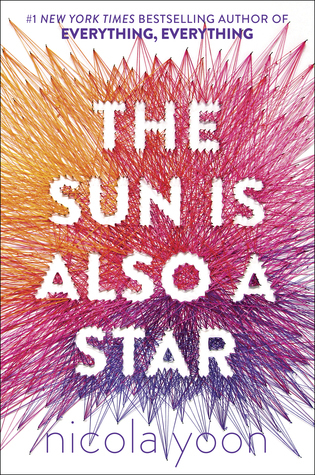 I’ve read Everything, Everything, but while that book was cute and twisty and slightly disappointing at the end, The Sun is Also a Star does the opposite of disappoint. It’s eyeopening, romantic, heartbreaking and all-around beautiful (even the cover). Although, yes, it is a straight romance, both characters represent immigrants into American (specifically, New York City) as well as different types of racism and family issues. “People are staring at us,” I say. 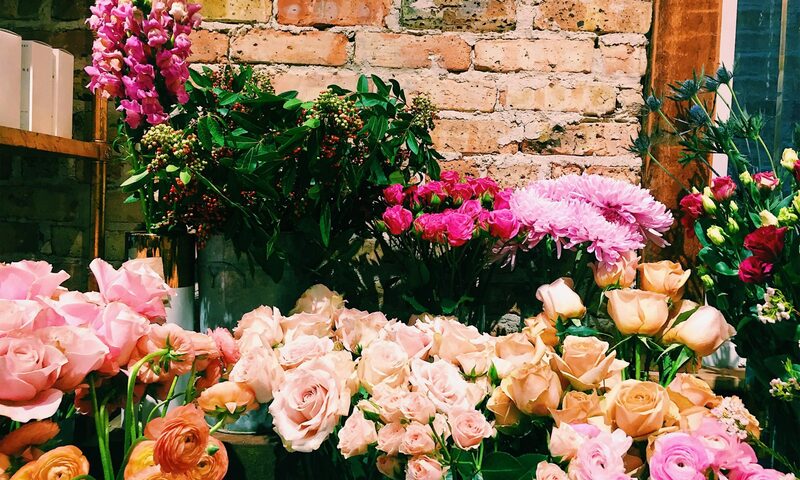 “It’s because you’re so beautiful,” he says back, without missing a beat. Daniel is the son of Korean immigrants and is under a huge amount of pressure to go to medical school, even though he just wants to write poetry. Natasha immigrated to NYC when she was eight from Jamaica, and is being deported late in the evening of the day the story takes place. They meet very coincidentally and somehow end up spending most of the day together as they talk about their families, problems, views on life and fate. They have a very interesting chemistry and dynamic in their relationship, but it’s wonderful to read them fall in love in one short day. I’m a huge fan of the “one day” set-up and this novel just made me love it even more. Another unique thing about the style of The Sun is Also a Star is the many points of view. Of course, Daniel and Natasha are the main focus, as they should be, so their chapters are longer and more present. But the addition of other minor characters’ stories add another layer to the story and give more detail to small details that become very important as the story goes on. It was very interesting to see the full web being woven throughout the story and know how all the pieces fit together, from the main characters to their immigration lawyer and his mistress to the security guard at a hotel to the woman Natasha unknowingly saves from suicide. He stops to take a breath. “Is that okay with you?” he asks. America’s not really a melting pot. It’s more like one of those divided metal plates with separate sections for starch, meat, and veggies. It’s so nice to pick up a book and have it not be marketed as solely about immigration and other cultures and races (because let’s face it, right now the default is straight and white, which is not cool). It’s not thrown in your face, but instead elaborates on the story and makes it more memorable. I’m really trying to read more diverse books, so: yay! This counts! And, it was amazing. Read it. It’s romantic and super sad and funny and all you’ll want to do is protect Daniel and Natasha even though YOU CAN’T and it will make you very sad. Also, the ending is so satisfying and totally makes you cry at how well incorporated everything is because Nicola Yoon is very good at crushing my heart. It’s no wonder this was on the Entertainment Weekly top ten list of 2016.